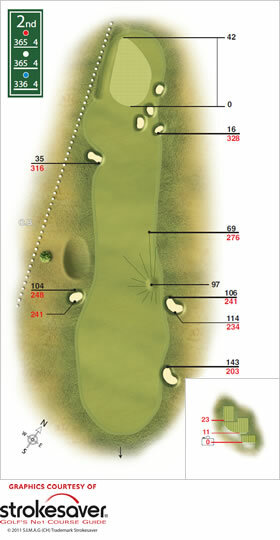 A much underrated hole which does not yield as many birdies as its length would suggest. In the right conditions it can be driven by the big hitters, but out of bounds runs down the left side, coming within 15 feet of the green. The percentage play is a long iron from the tee to the left hand side of the fairway leaving no more than a short iron to a tricky, well bunkered contoured green.